​The federal government has completed deals with Ontario, Quebec and Alberta, leaving Manitoba as the only province not to accept Ottawa's offer of funding for mental health and homecare. The federal government has completed deals with Ontario, Quebec and Alberta on health-care funding. 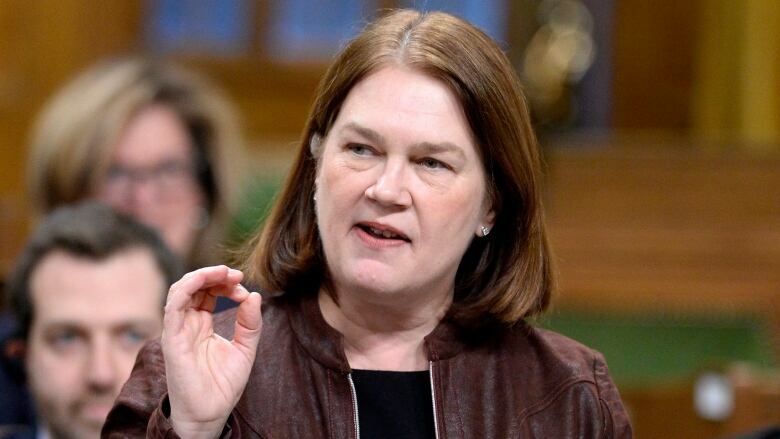 Health Minister Jane Philpott made the announcement during Friday's question period, but details of the funding agreements were not immediately made available. The deals leave Manitoba as the only province without an agreement. That province has said it wants more money to address indigenous health issues and diabetes before signing on. $4.2 billion for Ontario over the next 10 years: $2.3 billion for home care and $1.9 billion for mental health initiatives. $1.3 billion for Alberta over 10 years: $703.2 million for home care, including money for home care infrastructure, and $586 million for mental health initiatives. $2.5 billion over 10 years for Quebec, which will retain its purview over how those funds are used, extending a principle the province and the federal government agreed to in 2004. "We have an agreement that reiterates what is essential for us, the principle of asymmetry, that Quebec be able to use its funds according to its priorities," Quebec Premier Philippe Couillard told reporters on Friday. The federal government also agreed that Quebec would have discretion over separate funds earmarked for social infrastructure. "Now, Quebec's priorities aren't different from those of the rest of North America," Couillard said. "We're all talking about elderly care, front-line services, mental health — everyone is pretty much has the same priorities. But it is essential to preserve this asymmetry, and we were even able to strengthen it." At her own news conference, Philpott said, "Quebec has made its own decision as to their priorities. They happen to be the same priorities that we have, which are home care and mental health." The government also announced $6 million in emergency funds for Alberta to help deal with the opioid crisis there. That's in addition to a five-year, $65-million national initiative announced late last year. While attending an energy conference in Houston, Texas, Prime Minister Justin Trudeau was asked if his decision to strike bilateral agreements with each province was hurting his hopes for a renewed relationship between the federal government and the provinces and territories. "What Canadians expect is the federal government and provincial and territorial governments to work well together," said Trudeau. "Sometimes that will be one big agreement signed by everyone, other times it will take specific negotiations with each of the provinces." Certainly we've heard loudly and clearly from all Canadians that making significant improvements to our health-care system, and stepping up historic new investments in both home care, as our population ages, and in mental health, which is increasingly of concern for so many Canadians, is exactly the right thing to do," he added. Talks in December between Justin Trudeau's government and the provinces failed to produce a national deal on a new health accord. The federal government put $11.5 billion in additional federal funding on the table for mental health and home care over the next 10 years. But the provinces and the federal government could not agree on the rate at which base federal funding for health care would increase each year. In December, the Liberals offered an annual increase of 3.5 per cent, a drop from the six per cent annual increases they had received for more than a decade. The provincial and federal governments have since agreed that the federal transfer will increase at a rate of three per cent or, if higher, at the annual rate of GDP growth. Ottawa reached a bilateral deal with New Brunswick soon after December's unsuccessful summit, and agreements with other provinces and territories have followed. Saskatchewan made a deal in January and British Columbia came to an agreement last month. The country's two largest provinces had remained without long-term funding agreements, until Friday. "This is not about divide and conquer," Philpott said on Friday, responding to reporters' questions about the government's approach. "This is about offering what is a fantastic, new, transformative offer for Canadians that we put on the table in December. "It took some time for several provinces to reflect on this and on reflection, as they looked at this and realized that this will, in fact, be extremely helpful, they have in their own time come to an agreement with us."